@PenbaAyiti: RT @NYDailyNews: Richard Matt threatened a federal border agent with gun before he was fatally shot: officials. @en_ayiti: RT @NYDailyNews: Richard Matt threatened a federal border agent with gun before he was fatally shot: officials. @michaelluo: RT @NYTMetro: New details reveal that the prison escapee, Richard Matt tried to make a last stand when he was found. @StanLinhorst: RT @NYTMetro: New details reveal that the prison escapee, Richard Matt tried to make a last stand when he was found. @snlz0: LiZa on Twitter: "
@NYTMetro: New details reveal that the prison escapee, Richard Matt tried to make a last stand when he was found. @RozMaestro: RT @NYDailyNews: Richard Matt threatened a federal border agent with gun before he was fatally shot: officials. @nadougallo: RT @NYDailyNews: Richard Matt threatened a federal border agent with gun before he was fatally shot: officials. 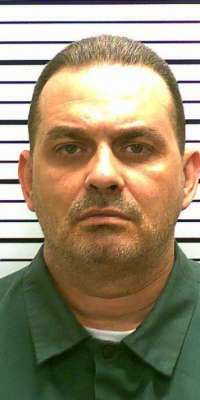 @jimmycadeau: RT @NYDailyNews: Richard Matt threatened a federal border agent with gun before he was fatally shot: officials.